Blancnotes has been my “happy place” for the longest time. Well, that is until I discover Pinterest. If you have a Pinterest account, I am sure you will agree with me when I say that you can get totally lost in its wonderful world of pictures and ideas once you start browsing the site. I, for one, tend to forget all about the time as soon as I start logging in. 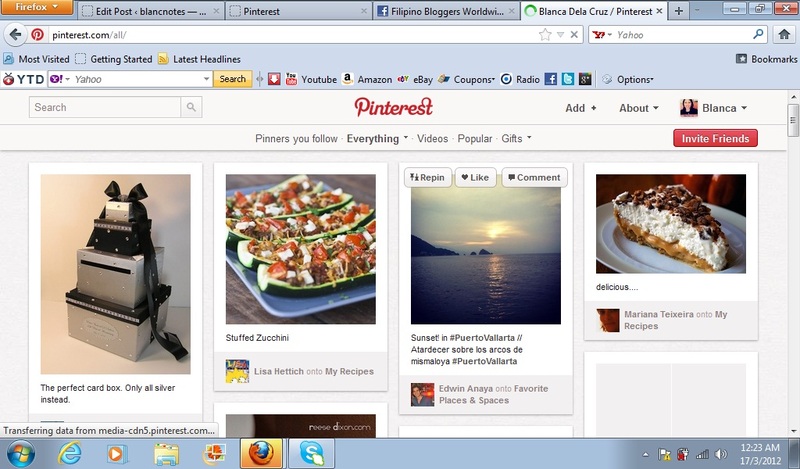 Pinterest is a Virtual Pinboard that lets you organize and share the beautiful things that you find on the web. It lets you browse through the many wonderful photo ideas there and REPIN the photos you find interesting on your boards (FAVORITE PLACES & SPACES, BOOKS WORTH READING, MY STYLE, DREAM BOARD ETC.) 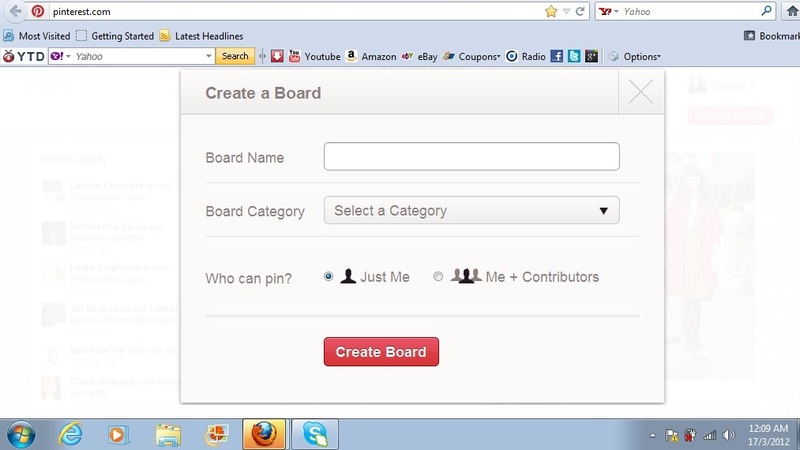 You can either use/rename the available board templates or create new ones. You can also pin away your own photos and ideas to share with others. You can follow your friends and other members on Pinterest too so you will be updated when they share and like new stuffs. Pinterest is a great source of ideas when you are planning your own wedding/party, redecorating your house, discovering new recipes’, finding your style or wanting to read some inspiring quotes. I like how it lets me “shop” for stylish clothes, shoes, fancy bags, jewelries and accessories without having to literally shell out money (a girl can always dream right?!). :D Since, I have this love affair with words, I also like reading the witty, funny and inspirational quotes pinners post there. 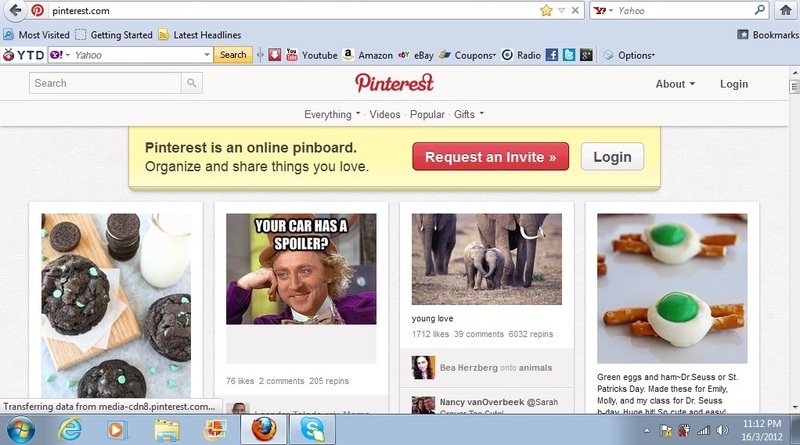 Pinterest is currently invite-only. To get started, you can request for an invite by clicking the request for an invite button. Then wait for the invite that will be sent via email. Once you receive the invite you can register via Facebook Connect or connect through twitter. Based on experience though, it takes days and even weeks for the email invitation to come. I guess it depends on the bulk of requests that they are processing during the time of your request. Another great way to get started on Pinterest is by being invited by someone who is already part of Pinterest. It is much better because the email invite comes right away. I only got to create an account after I have been invited by my friend. I tried requesting for an invite twice but the invitation email never came. Once you become a member, you can enjoy browsing, repinning, liking and commenting on the photos that you like provided that you follow the Pin Etiquette. 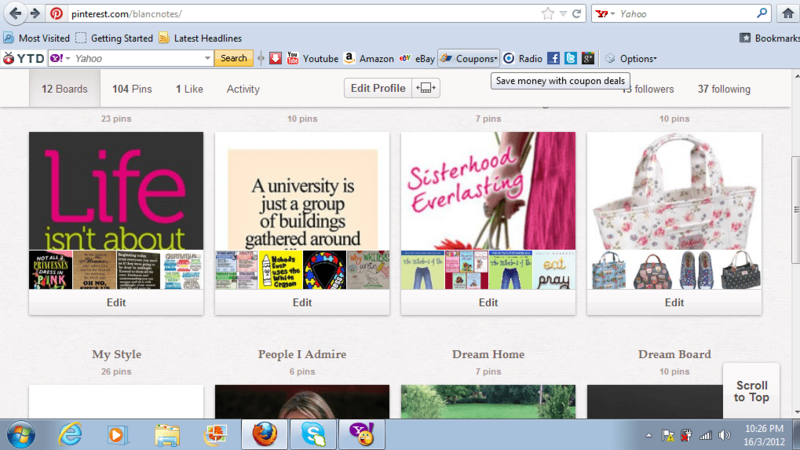 I dont have pinterest, and it’s growing crazy now! I need to register soon! You’re so right, Blanca! I also get lost when I start browsing through the pinterest photos. I’ve actually developed a liking for pinning wedding related photos. I’ve been saving all the pegs that I can so that I would know which creative ideas will do well in my future wedding. =) so addicting! I’m also now in Pinterest and its addicting! Hope you’ll add me on Pinterest sis (mtgambrocio)! The only issue with pinterest is they change the product pics with their affiliate links without permission. i am not yet a pinterest registered. i have to take a tour on it ASAP !!! I’ve heard about pinterest but I had reservations on getting registered (will try to blog about it soon ^_^). Pinterest is really interesting! It has surpassed many photo based SMM platforms. 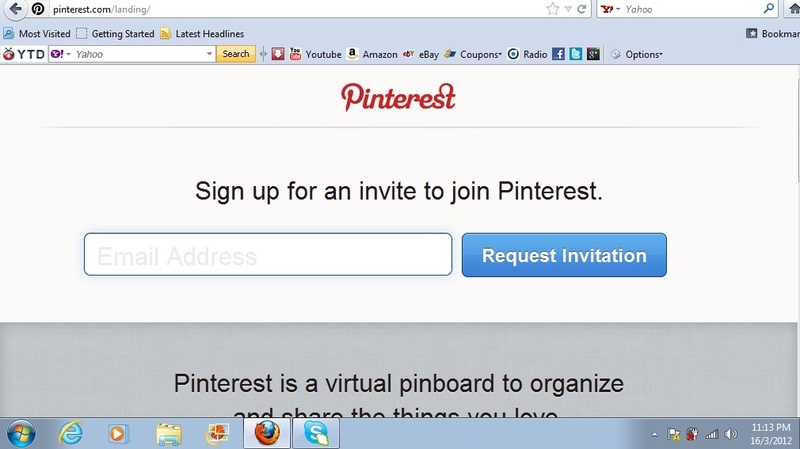 I want to register too and get my Pinterest! I know I’ve just been given Pinterest account and password… haven’t really checked it out yet hehe.. I am missing some, right? lol!… let me look it up!